I tend not to get any of these because I’m pretty protective about my details. But somehow this one got through because, I believe Argos are part of the same group and I bought a very cool wind up shower radio online. 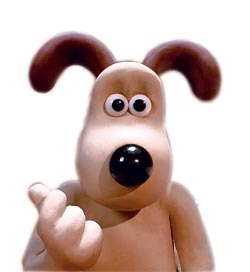 To be fair I do have a shower radio but its years old, runs through 3x rechargeable batteries within a few weeks, sounds crappy and is shaped like Gromit! (cute its not). The new shower radio is highly recommend because it supports headphone out (you can plug this into speakers) and a usb charger if you can’t be bothered to wind it. The audio quality is also light years in front of my old gromit radio. So anyway I got this letter in the post looking pretty official, once I opened it, I released it was spam. It claimed you won between £15 to £1500 pounds but to claim it you will need to setup a credit account. I get this kind of rubbish in my email all the time and I usually hit delete or the spam button (which ever one I can be bothered to hit first) but I’ve never seen it in letter form before. I shall have to be a lot more careful in the future.